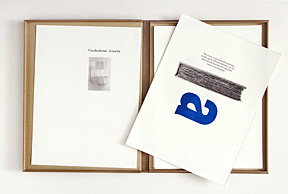 The Vico collaboration concludes with a new portfolio of wooden letter prints, letterpress printing, and photographs. In this portfolio, the wooden letters, metal type, and photographs are integrated; printed together on the same sheet, using traditional letterpress printing inks for the typography and Piezography inks for the photographs. The Vico duodecimo Axiom 65 portfolio has been published in 2006 by The Greenwood Press in an edition of fory-five. 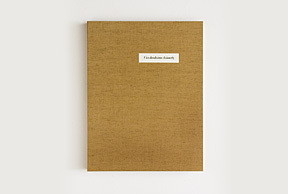 Each portfolio consists of nine prints in three colors, a title page, and a colophon, all printed on Somerset Photo Enhanced Velvet, 225 gsm. The page size of 13 x 17.5 inches is determined by the sheet size of a duodecimo before it has been folded, the duodecimo being the size of the first (1725) and second (1730) editions of Giambattista Vico's (1668-1744) masterpiece, The New Science. See the VICO DUODECIMO PRINTS.